Having substituted my Two Oceans 2013 half marathon entry and deciding to run the 8km fun run instead, it was interesting observing the race from a non-participant’s point of view this year. Each and every person had their own story to tell…This is how I saw it. KK was still ill by the time we flew down to Cape Town and decided that with such a sore chest, it was best not to run. The disappointment on his face as he negotiated with himself what to do was visible each day leading up to that Saturday but only he could make that final decision. In his words, “It’ll take me a year longer to get my Blue number.” Sorry babes. Meanwhile, two of our other running friends received their Blue numbers on the Saturday. One for the half and the other for the Ultra. What an awesome achievement! For others, the race was not a good experience. One of my favourite athletes missed cut off and was totally shattered! In the heat of the moment, she announced that she would ‘never run Two Oceans again’. I hope that while she feels that way about this particular race, she has not lost her love for running. There’s a difference. Ironically, a catch-up supper on the Thursday evening before the race with another friend was an eye-opener. Being a non-runner, she had no idea the race was happening or even the details. 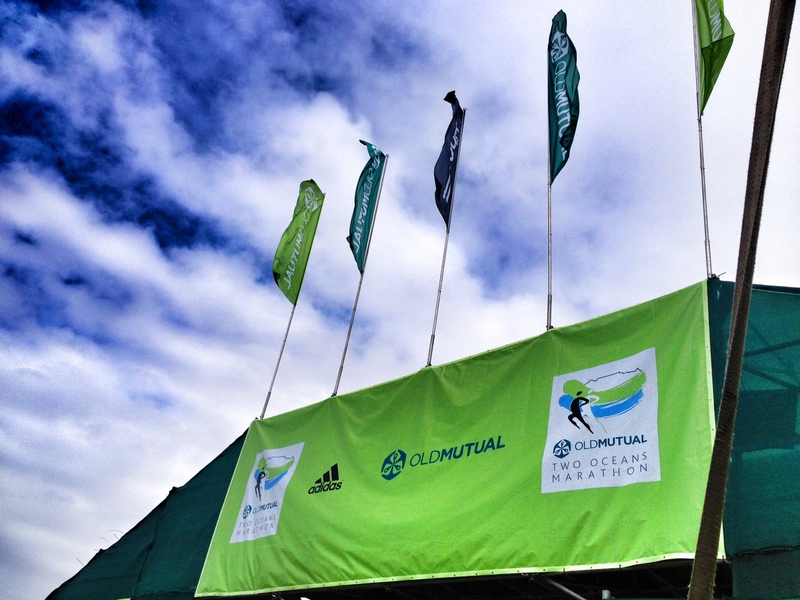 Runners become so obsessed with Two Oceans – it’s all we talk about. It was refreshing to have supper and talk about something else for a change. 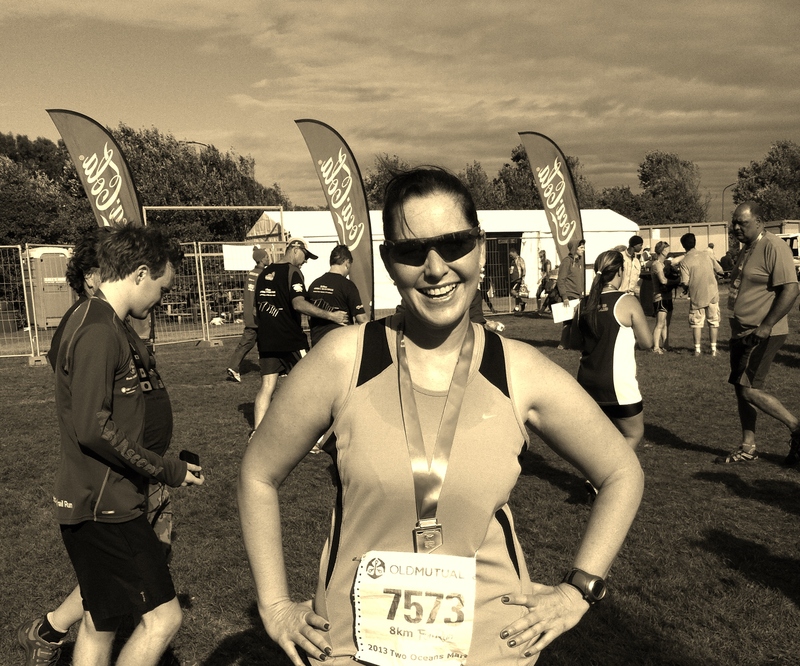 An ankle injury forced another running buddy out of the race which she loves with all her heart. But that did not stop her passion to ensure she ‘fly her flag’ across that finish line among mixed reactions from some. Two other running friends narrowly made Ultra cut offs with minutes to spare – one for his bronze medal and the other one to finish in time. Great run guys! Witnessing the Russian twins and Stephen Muzhingi have bad races proved that even the champs have races that don’t always go their way. And then to all those surrounding me at the 8km fun run. To many, it was the first time they would attempt that distance. To them, this WAS their marathon! The race is called a fun run but to some runners, it was a very serious race! I hope it’s the start of a wonderful running journey that sees them finish their half or even ultra marathons one day! This entry was posted in My Races and tagged Two Oceans 2013, Two Oceans half marathon, Two Oceans Ultra marathon by Bo. Bookmark the permalink.